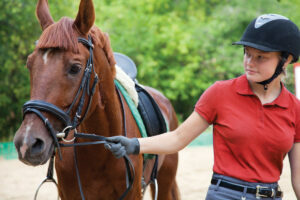 Our liability policy for equestrian businesses is widely regarded as the best policy on the market. To develop the policy wording, we listened to the wants and needs of equestrian business owners. We are keen to ensure that equestrian business proprietors can run their businesses without the restraints of endorsements and warranties on insurance contracts restricting their business activities. Health and safety is the cornerstone to good management in the equestrian sector and we reward good quality management with great cover at competitive premiums. Our policy is provided through Zurich Insurance PLC. Zurich provides a full back-up claims service and our customers benefit from the wide ranging expertise of their 60,000 worldwide staff members. Speak to our rural team today to see how the UK’s best equestrian business liability product can benefit you and your business.